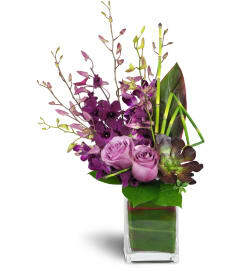 When "distinctive and elegant" is the order of the day, the dusky hues and artful silhouette of this floral gift are always appropriate. 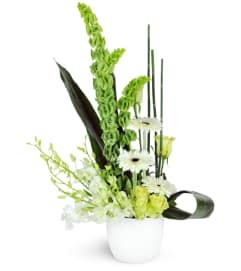 For the executive or that special someone in your life with a taste for top shelf refinement, this stunningly simple orchid bouquet will be remembered... And so will you! 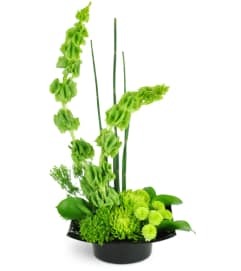 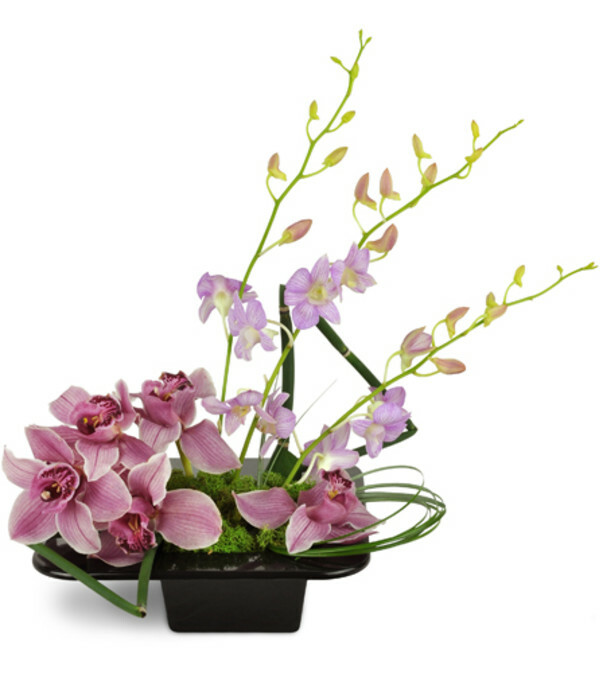 Pink cymbidium orchids and tall lavender dendrobium orchids are arranged with unique greenery sculptures in a low black "zen-inspired" vase.